Home › Blog › Managed Hosting › Managed Hosting Basics: Letting The Experts Handle It. Managed Hosting Basics: Letting The Experts Handle It. Sometimes you just need a little help. There’s much more to running a website than updating content and keeping the interface functional. Most site maintenance takes place on the backend – and it takes a lot of time and effort. Managed hosting is just what it sounds like – your hosting provider takes care of your website and manages your account for you, keeping everything running so you don’t have to. Because really, who needs the aggravation? 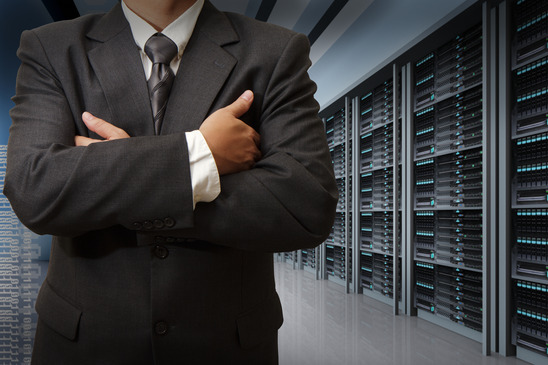 Managed hosting is usually available with dedicated hosting packages – less frequently with shared hosting packages. (However, managed shared hosting does exist.) When you choose a managed hosting plan, your provider retains control over many key aspects of the account, including the operating system, standard apps, and hardware maintenance and management. Usually, you’ll still have access to the root domain so you can perform uploads or maintenance if you want to. But again...why would you want to? You’re paying the hosting provider to handle it for you. Managed hosting is a little more expensive than do-it-yourself hosting, but in the end, you’re saving money because you have an available in-house fix for bugs and tech problems. If there are technical issues you can’t handle yourself, there’s no need to spend money on outside assistance. You’re already covered. Another advantage of managed hosting: everything is documented. Your hosting provider keeps a log of all issues, bugs, updates and changes, so if something goes wrong, it’s easy to track down and pinpoint the problem. If you’ve purchased a managed hosting account, it’s usually wisest to let the hosting provider handle all the tasks included in your plan. If you make changes yourself and something goes wrong, it may be hard for tech support to duplicate and fix the errors. As the saying goes – too many cooks spoil the soup. This step really couldn’t be easier. Just notify your hosting provider and they’ll take it from there: setting up your site on your chosen sever, installing the operating system and setting up standard apps and software. If you want a feature or application that’s not standard, you just let the hosting provider know and they install that one, too. Two tips here: know what features you’re looking for, and know what your budget is. Managed hosting naturally costs a bit more than un-managed hosting – it can run anywhere from 40 to several hundred dollars a month, depending on your provider. This is one reason managed hosting may be a better choice for medium to large companies, as opposed to small businesses and individuals. Know what you expect, and know what you’re getting. Most standard hosting packages offer tech support, but managed hosting takes it to another level. A good managed hosting provider will offer tech support and service even at night or on weekends. Another advantage of managed hosting is the heightened security measures in place. If you’re managing your own site, you may miss security updates or lay yourself open to hackers and viruses. (For instance, the recent Heartbleed bug caught a lot of site owners completely off guard.) A good managed hosting company will hover protectively over your site and server, shooting down threats before they get close. To learn more about data centers or shared hosting, read our articles here.